In a statement issued on 17 May 2016, Airasia announced that counter check-in at KLIA2 will no longer be available from 18 May 2016. (via web-checkin, mobile check-in or check-in kiosk at KLIA2). Self-check-in is opened 14 days before the flight scheduled departure time. For domestic flights, self-check-in will be closed 1 hour before the flight scheduled departure time. For international flights (AirasiaX), self-check-in will be closed 4 hours before the flight scheduled departure time. Now you can also print the self bag tags for your baggage through with web-check-in. Just choose how many bags you have and print the generated bag tags. You can get reusable self bag tag sleeve from the baggage drop counter at KLIA2. Here is a video on how to print your self-bag-tag at home. proceeding to the baggage drop counters, for guests who have check-in baggage. For domestic flights, Baggage Drop counter are opened 2 hours before the flight scheduled departure time. For Airasia X international flights, Baggage Drop counter are opened 3 hours before the flight scheduled departure time. Baggage Drop counter for both international and domestic flights will close 1 hour before the flight scheduled departure time. Document check - for Airasia flights to Australian destination, passengers are also required to proceed to Document Check Counter or Baggage Drop Counter for document check. If you have check-in baggage, you can do document check at the baggage drop counter too. Likewise, if there is no document check counter available, you can do document check at the baggage drop counter. go through airport security check point, immigration check point (for international flight only) and proceed to the boarding gate of your flight. For passengers not eligible for self-check-in such as pregnant passengers, passengers travelling with infant, passengers with special needs, passenger below 16 years old and travelling alone and passengers with a medical condition/illnesses, assistance is available at Airasia special customer service counter. For those who still prefer to check-in at the airport, just make sure that you arrive at KLIA2 earlier and use the self-service check-in kiosk to check-in. Otherwise, just use web-check-in on airasia website or mobile check-in. For mobile check-in, you can download the Airasia mobile app from Google Play (for Android) or Apple App Store (for IOS). Hi there, I would like to ask whether we can check in our baggage at the counter rather than print at home or kiosk because I didnt manage to print it because of internet problem. If we print at the kiosk? How much charges do we get? This new rule only applies to check-in of passengers (not baggage) at counter. For passenger check-in, you can still check-in at the airport kiosk free of charge if you did not manage to check in at home. Just be at the airport earlier. For baggage, you can still drop your baggage at the counter as before. Hope this helps. Have a safe journey! hai..for manual check in..where to go? at baggage drop counter? The cheapest way to travel from KLIA2 to down town KL is through the Skybus. 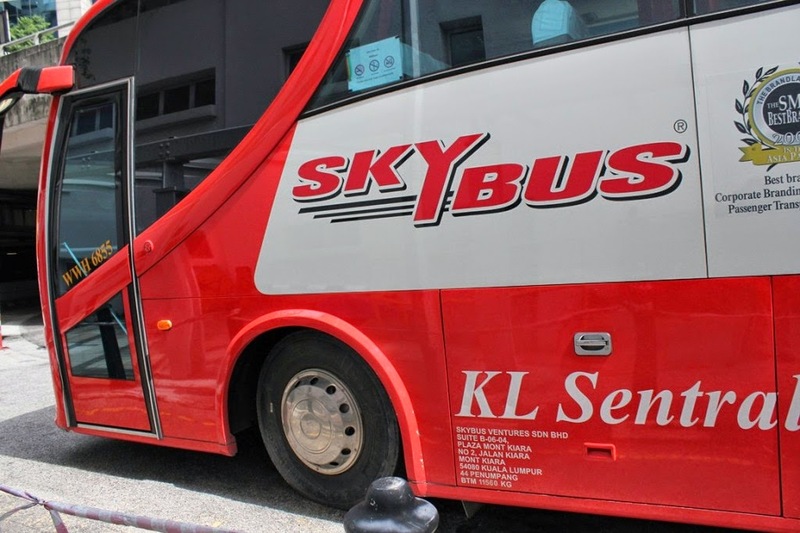 Skybus is a coach service connecting KLIA2 to KL Sentral in Kuala Lumpur and 1 Utama in Damansara. The one way ticket for Skybus to KL Sentral or 1Utama is only RM10. If you buy a return ticket (two way ticket), you can get a handsome 20% discount (while promotion last), making the round trip cost RM16. Location of Skybus Bus Station at KLIA2 This bus service is now serving KLIA2 at its Level 1 transportation hub. Upon arrival, look for lift or escalator that bring you to Level 1. The Skybus bus station is located at EXIT DOOR 3 at the far left on Level 1. Three Ways to Buy Skybus Tickets There are three ways to buy skybus tickets. The easiest is to buy it on board the bus. The other way is to buy it at the Skybus counter at Level 1 of KLIA2. If you prefer to buy the ticket in advance before your trip, you can also buy it from Skybus website at http://www.skybus.com.my. Mitsui Outlet Park recently becomes a must visit for shoppers and bargain hunters who stop over at KLIA2 or KLIA. Not only it provides free shuttle bus for visitors from KLIA2 and KLIA to Mitsui Outlet and returning to KLIA / KLIA2, but also you can use the free baggage / luggage storage services at Mitsui Outlet so that you don't have to drag along your heavy luggage while shopping. How to Take Free Shuttle Bus to Mitsui Outlet from KLIA2 or KLIAKLIA Free Shuttle Bus to Mitsui Outlet Park Sepang If you are going to Mitsui Outlet Park from KLIA, the bus stop for free shuttle bus to Mitsui Outlet is located at KLIA main terminal Level 1, Gate 2, EXIT DOOR 2, as shown in the image below. Perkhidmatan bas Skybus merupakan pengangkutan awam yang paling murah dari KLIA2 ke pusat bandaraya Kuala Lumpur dan Kota Damansara. Skybus menggunakan bas bertaraf coach yang serba mewah dan selesa dari KLIA2. Harga tiketnya pun cukup murah. Tiket sehala ke KL Sentral atau 1 Utama hanya RM10. Bagi penumpang yang membeli tiket dua hala (pergi-balik), Skybus menawarkan potongan diskaun 20% (sah dalam tempoh promosi). Maknanya, tambang pergi-balik dari KLIA2 ke KL Sentral / 1 Utama dan kembali semula ke KLIA2 cuma RM16. Lokasi Stesen Bas Skybus di Lapangan Terbang KLIA2 Bas Skybus beroperasi di Tingkat 1, KLIA2, iaitu Hab Pengangkutan Awam KLIA. 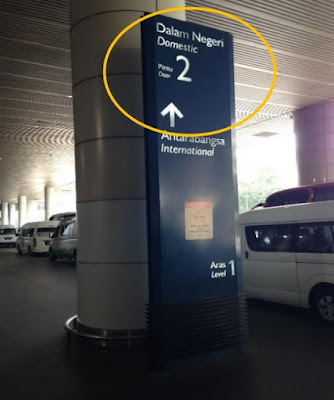 Selepas anda keluar dari balai ketibaan di KLIA2, anda boleh menggunakan lif atau eskalator untuk tiba di Tingkat 1. Stesen Skybus ini terletak di Pintu 3 di penghujung kiri Tingkat 1 seperti yang ditunjukkan dalam peta di bawah.